Discussion in 'LOR 240V AC' started by coopz05, Jun 5, 2013. Firstly let me preface by saying that I know next to nothing about electrical terms, so forgive me if I sound amateur. Im planning on buying 3x complete fully assembled LOR 16ch boxes with Aus plugs, totalling 48 channels. I keep reading on this forum about how 240v can KILL etc etc, but I simply don't know enough about electricity and DC vs AC, so although it is much more expensive, Im doing it with 240v boxes, because Im assuming it is safer. I have had xmas lights for years, (all store bought) so I assume they are all Aust. 240v, and my setup has always been safe. I only use extension cords long enough to run from the light all the way into my garage where the power is, and the controllers will soon be. I always use enclosures over the waterproof connecting extension cords, and Im getting the LOR fully assembled by them. I hear you can blow fuses, often, if overloaded. So Im only going with 48ch boxes, so that I am only running one light (string lights, rope lights, decorations etc) on every power cord coming from the box. 100m Fairy light would be the highest amperage on any of them, so should I be ok? even if I at any point have every light on at the same time? Firstly, Any of the voltages can be deadly (yes even 5v, although there is not enough voltage to kill directly, those with some cconditions such as pace makers, or metabolic imbalances can theoreticlly) although, some voltages are obviously less worrying then some. I too am no electrical expert, however, looking at your plan for 240v controllers, you seem to have a good plan on how you want to lower the risks associated. I would suggest coming to the mini and learning about the differences between AC and DC, but also learning how you can control your current lights on a dc circuit. I would be assuming that your 240v lights you have currently, have a transformer at the plug, which steps the voltage down (likely to 5 - 36v DC) which is around the same voltages that a majority of users in here utilise. You are right, LOR boards are rather expensive, but with that expence you are paying for a plug and play option. Ease of use etc. However, you can always try your hand DC powered controllers, with a little understanding and time to learn. I know I havent answered your questions at all, but im hoping one of the power guru's will do that after me. Just my 2 c worth, but Hold off of purchasing until after attending the Mini. I purchased 9 LOR dc boards and mp3 controller 3 weeks before the Melbourne mini, and following the information gathered there now regret the purchase as that is not the ultimate direction i want to head to for my display. I agree hold off on purchasing all that lor stuff. Last year was my first year and I bought 1 240v controller and 3 dc controllers. This year I'm moving to rgb and am thinking of getting rid of my 240v stuff. It is a good learning point to start with the lor controllers cause its easy but the CLAP soon sets and you want more freedom with your display. Keep in mind that the lor controllers have 2 15amp inputs not the standard 10amp plugs. Anything involved with 240v needs a licensed electrician to modify. Dc you don't. If you still want to do the 240v I suggest having your display up high either on walls gutters or the roof. Avoid having stuff on the lawn. You will attract lots of people and some people don't know how to keep off the lawn and the last thing you want is someone tripping on a 240v cable. As I said at the Melbourne mini and may well say again at the Adelaide mini with the cost of LOR AC controllers being about $13 per channel compared to $2 to $5 for dmx based controllers it is often cheaper and a whole lot safer to use brand new lights if you have 240V lights. If the lights have transformers then you can run them off DC controllers. If you're heading to the mini then bring some lights along and I can show you how to hook them up to DC controllers. I have, and use, a number of LOR AC controllers and if I knew then what I know now (and if LEDs were available) I wouldn't have bought the AC boards. My AC boards are actually configured so I can run low voltage AC lights as I now have almost no 240V lights. If you are not running incandescant lights you are unlikely to need worrying about blowing fuses on your house until you get to the Clark W Griswald stage. All good advice here, I would hold off and definetly attend the Adelaide mini, you will be amazed how much you will learn from all the helpful members that are happy to share their knowledge. Your comment regarding using 240v and LOR boards being safer is the complete opposite to the direction that most of us have taken or are undertaking. Many of us have gone to extra low voltage systems like 12vdc and 5vdc lighting and others who use lights bought from Kmart, Big W, Bunnings and Target have removed the controllers and power supply and directly run then at around 27 to 30VDC through DC controllers. In the US where LOR controllers are sold they use 110V which is no where near as dangerous as 240V, so we in Australia need to seriiously consider the risks of using 240V lighting. So before you commit, spend some time learning as their is a wealth of information available with many different safer options rather than using 240V through out your yard. One other thing log term worth mentioning is that the 240V lights (if they are directly 240v, not using low voltage transformers) such as rope lights end up costing a hell of a lot more to run. Each year we plug in a LCD power meter to the various power points running our display to test out power usage. To give you an example, at out house 2 years ago, we had about 120-150m of rope lights and rope light motiff's which consumed around 9.5kW each night for a 3.15hour show. The low voltage lights on the same night running off the AVD48 consumed 110watts. Last year, we dropped about half of the rope lights and consumed around 5kW, and our DC usage went up to around 230Watts a night. Not that it matters to us much becuase our solar panels at that time of year actually cover the costs anyways, and we are only talking about $60 extra on the bill Vs $100's spent on the lights, just something worth mentioning. I'd second/third whatever a lot of the other comments here. A bit of background - last year was my first year with controlled lighting, intending to use 2*LOR AC units and 2*LOR DC units (just in case). I standardised on mainly BigW LED light strings - availability, light, ease of modification etc. I'm still going "old-schoolish" and using light strings and LOR DC units in my display this year - making the most out of what I have already. Part of that is purely pigheadedness and partially getting the most out of what I have already before looking at retooling and replacing my gear for a more up to date type of setup. I do not intend to use either of the AC units I have this year - too much hassle. I would second the comments about having a look at the mini before spending too much - you may find it's cheaper, safer and much more effective to take other routes than the AC route you mentioned, particularly if you're just starting up. Using DC still needs power supplies connected to 240V at some point - this concentrates the danger points and allows you to manage them much more effectively rather than spreading the risk across your yard. As most of the people above has said attend the Adelaide Mini before purchasing any controllers. I am a person who has been using 240v LOR boards for the last few years because of what lights I already had in my collection. After last years mini I started the change to lower voltage lighting and only used 3 out of 5 240v LOR boards, and this year plan on only using maybe 1 and 1 for a spare, so once you have a chance to talk to other members about their display you may not require any 240v boards but if you do still need a 240v controller I can save you some time and cost of some cheap boards. The mini is a great time to learn about other peoples displays and tricks on safe displays. Thanks everyone for your info. I will definitely wait for the mini to see what Im up against. All the electricity talk is very concerning for me though, as Im not an engineer type. I don't know how to solder etc, so Im still, at this stage, leaning toward 240v for its ease, and overall safety due to me not having to do any electric work myself. That seems more dangerous than anything else, as Im a novice. Can someone give me a brief description of how I would convert all my current lights, bought in Australia to DC? - it's cheaper to run light gauge wire out into the yard than using extension leads and waterproof boxes. Does that also mean that DC does not have power plugs at the end or something? am I putting the live wires into the LOR box or something? If you bought LED strings from a retailer like Big W, Kmart, etc, these are already DC lights (except ropelights). Simply, remove (unplug) the black plugpack adapter, and now you have the DC LED light string that can connect to a DC controller. Ropelights are an exception because they are more often than not 240v even though they might be LED. DC controllers use mosfets to control the lights instead of triacs - although to the naked eye they look almost the same. The difference is, DC controllers aren't having (potentially lethal) 240v power running through them. My advice would be to come to the mini for both days if you can, as I think you'll benefit from the person-to-person feedback and seeing demos. There's time to ask questions between sessions etc. Ryan, those Powers upplys are AWESOME.. I'm now using them in our commerical kit. They are a little cheaper it seems that the old SP series and they are more efficent. Just throwing in some insight from my experience. 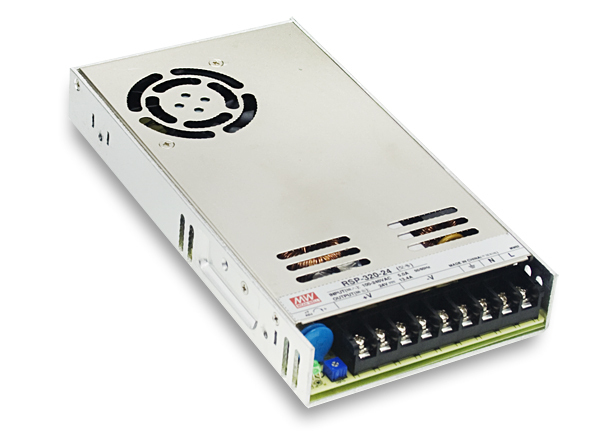 All our big commerical clients are migrating away from AC, and we we are running Various DC systems, the highest voltages being 48V, but 24, 12 and 5 are all common. From a safety perspective. All electricty needs to be respected. Its not overly difficult to stay safe. I'd echo the comments above, if you don't know much about this stuff, take a day out and go to one of the Mini events. You'll find a whole bunch of enthastic folks, ranging from newbies, never done this stuff, to people who do this stuff for a living. Plus you'll get heaps of help on all sorts of other thigns.. I've even heard that in teh US, some people have met their future wife!! ( not sure if that woudl ever happen in Australia )..